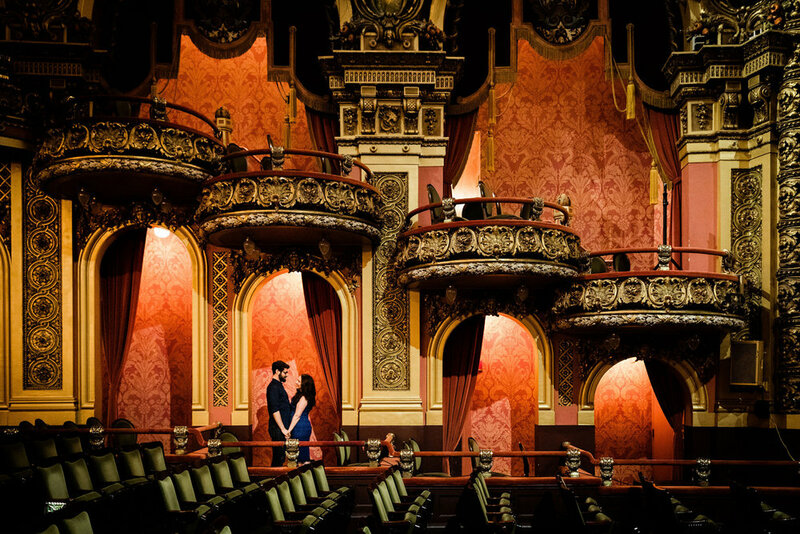 A photographer walks into an old theater in Boston and is greeted by intricate, early 1900s architecture, a super cute couple, and a plethora of Simpsons quotes. Could their job get any better? Probably not. 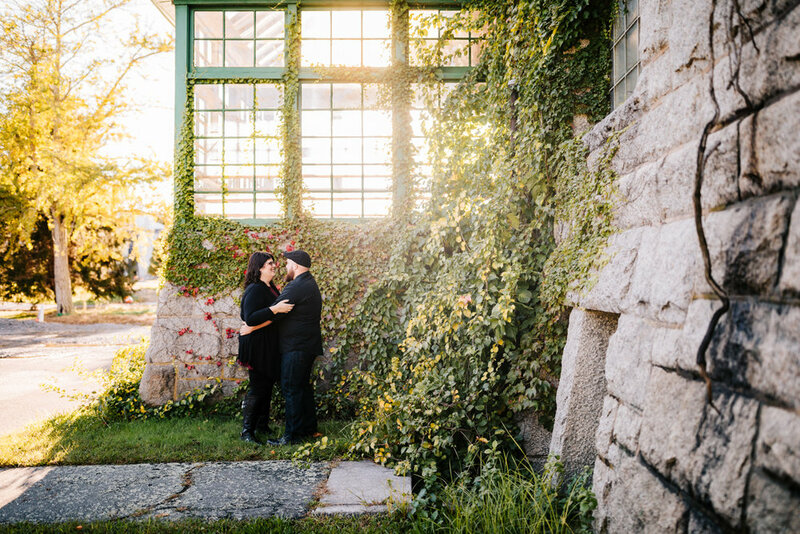 I am so stunned by some of the places I wind up in and I feel like every couple takes me on such an adventure. This is exactly the reason I have my clients choose a location - something meaningful to them goes miles beyond any field or river I could recommend. Sarah and Dave chose this location as it is somewhere Sarah used to perform, and on one instance, almost ran over Bea Arthur. “I was walking off stage and she was just RIGHT THERE”. Boston seriously leads to the most insane experiences. 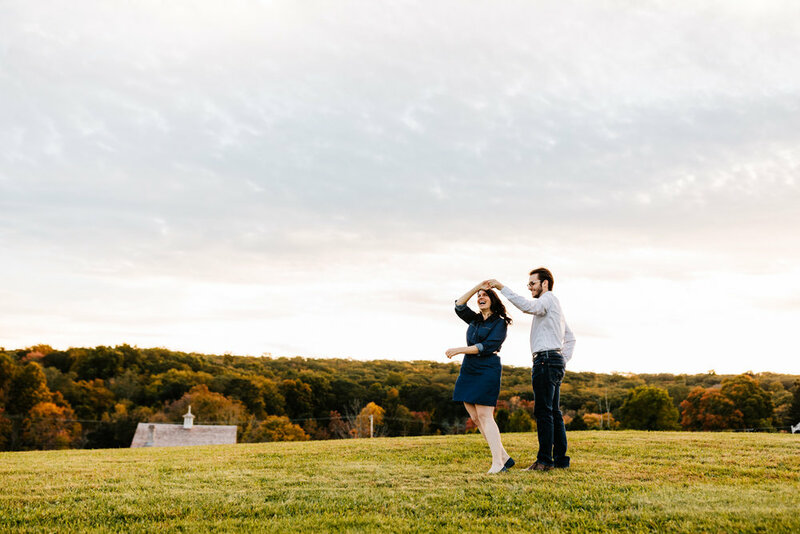 Sarah and Dave are just so much fun. They can joke about literally anything together, all while dancing together and just genuinely enjoying eachothers company. Some couples are just total best friends above all else. And that’s 100% these two. They met at a New Years Party a few years back. Dave hanging out with some friends, and Sarah being dragged against her will. “Sarah hates New Years Eve” Dave told me. And when I asked, she says “because it’s all this anticipation and then nothing happens!”. I laughed so hard. And I mean, she’s totally right too. New Years is completely anti-climatic. Luckily, something did happen that New Years. 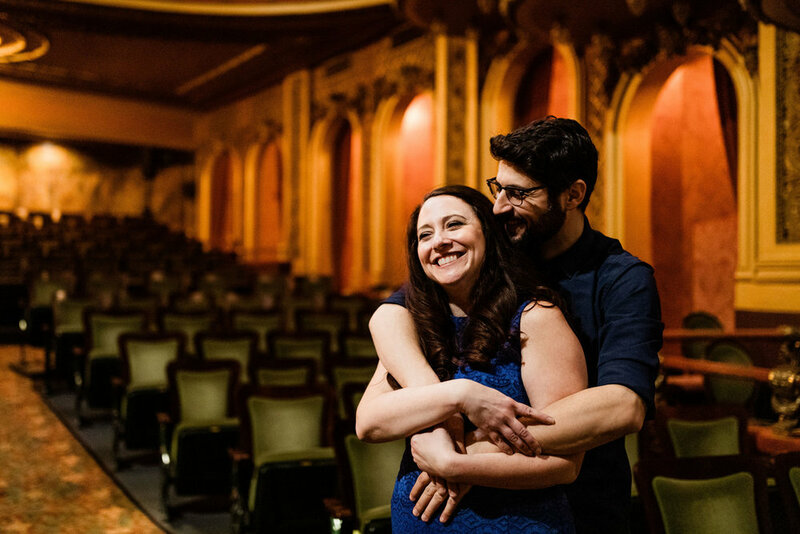 Sarah and Dave noticed eachother in the crowd and sparked up a conversation that lasted the night. The rest is history!! 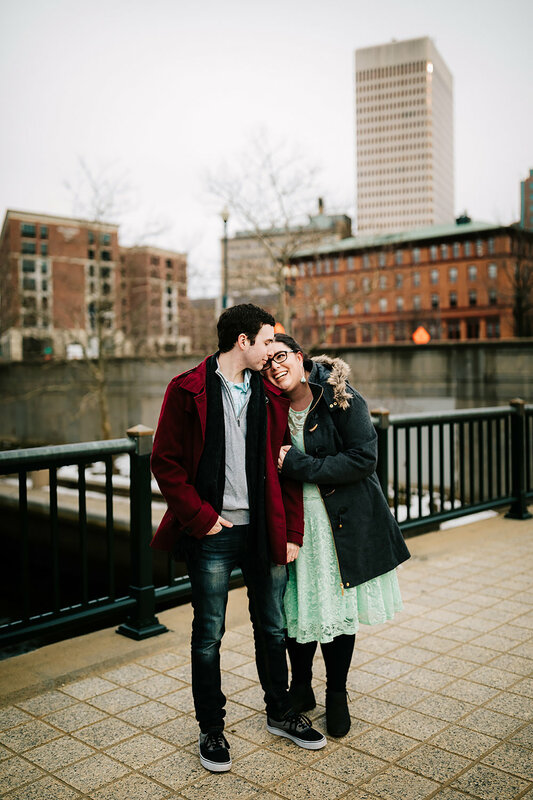 I’m so crazy excited to shoot their wedding in less than two months! It can’t come fast enough. 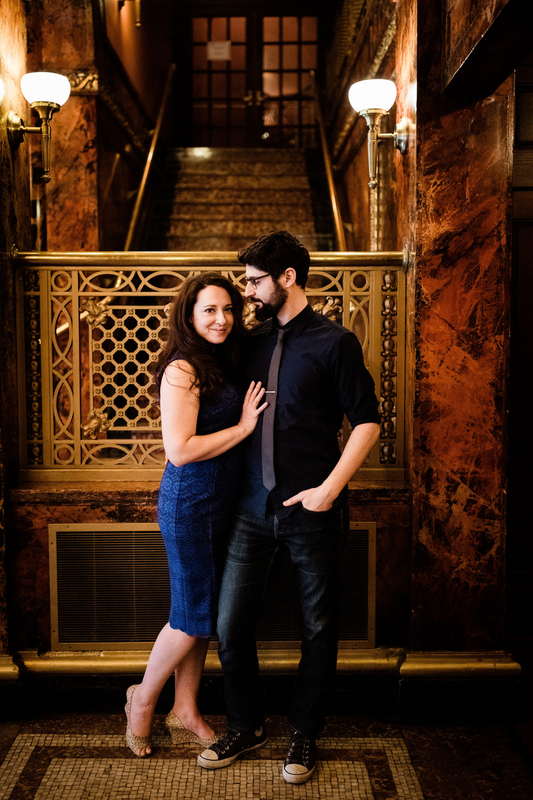 Ahhhh Sarah and Gabe! The power couple! It’s so crazy to have known someone as “my friend’s little sister” and see her grow up and fall into a relationship with someone that winds up being their soulmate. 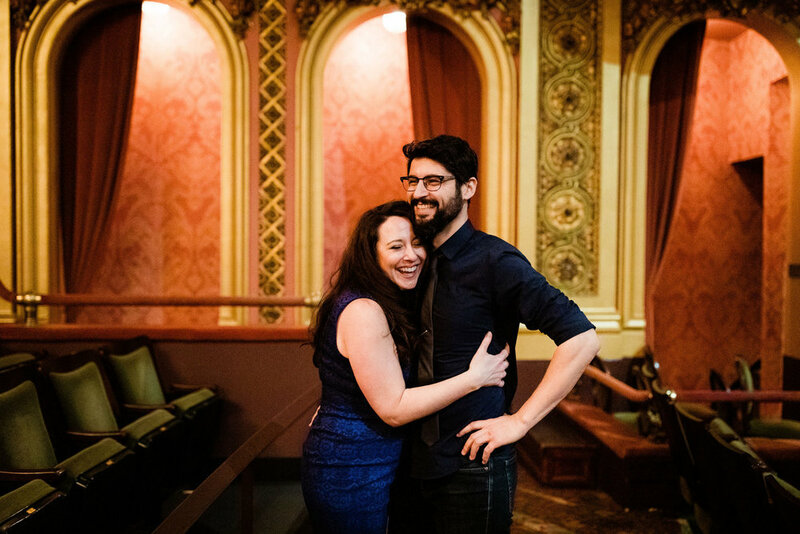 I have known Sarah and Gabe for an eternity (or like…9 years). They’ve always been a package deal, completely and totally suited for eachother. I can’t imagine them with anyone else. 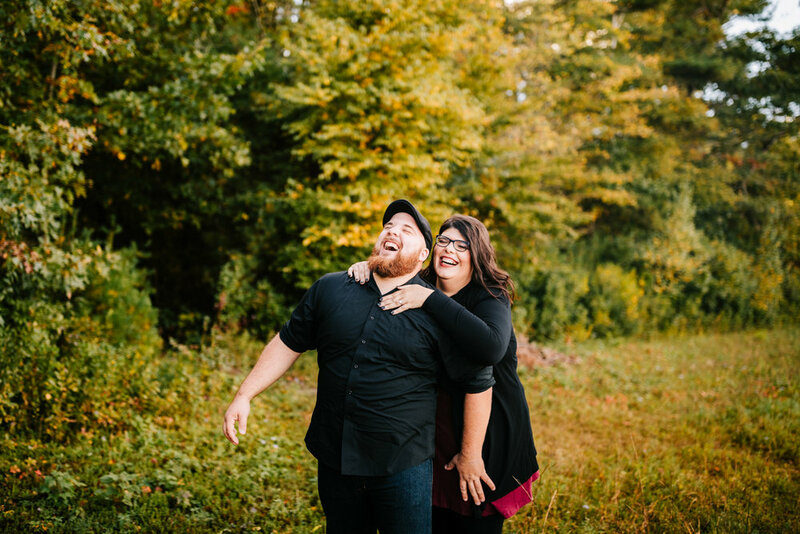 I was SO thrilled when they got engaged while on vacation in the Bahamas and even more ecstatic when they asked me to be their photographer. 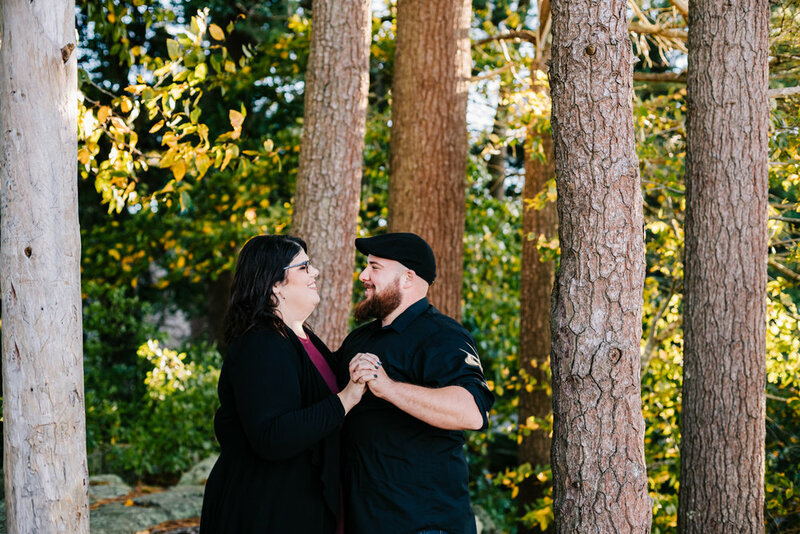 Of course, it’s always an honor to be chosen as a wedding photographer - it’s such a huge day! But it’s something a little more special when friends choose you to be such a massive part of their day. 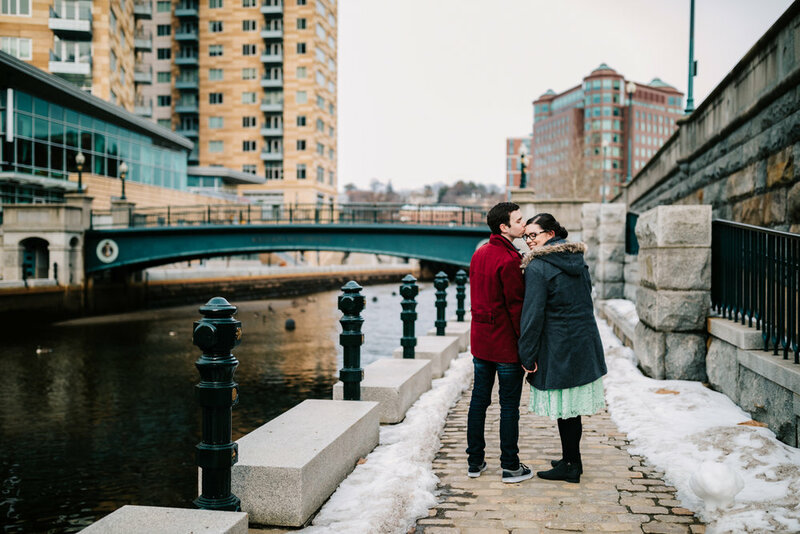 Sarah and Gabe chose the heart of Providence, Rhode Island for the backdrop to their engagement photos. Waterplace Park is THE place to be on a summer night on the city. It’s the site of Waterfire, a summertime event that is a staple of Rhode Island. Every other time of the year, it’s a surprisingly secluded, peaceful place just to take a walk. You can wander around the bridges, watch some ducks, and in the instance of this Saturday afternoon, a group of teenagers attempting some kind of parkour. Something for everyone! 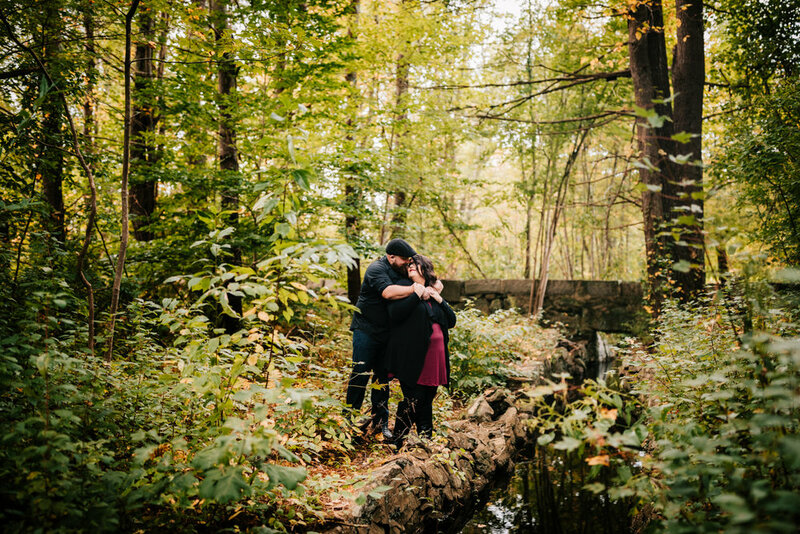 In fact, this is site of my first ever engagement session. 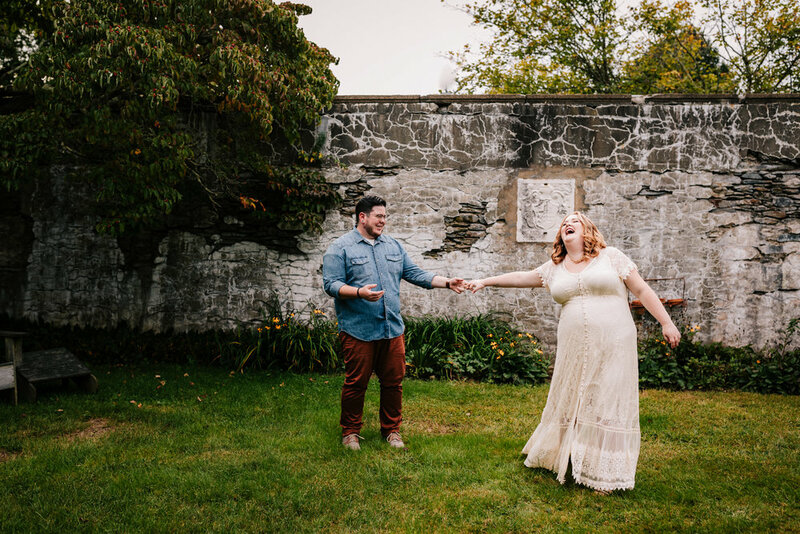 I can’t even tell you how excited I am to document Sarah and Gabe’s wedding. August can’t come soon enough! 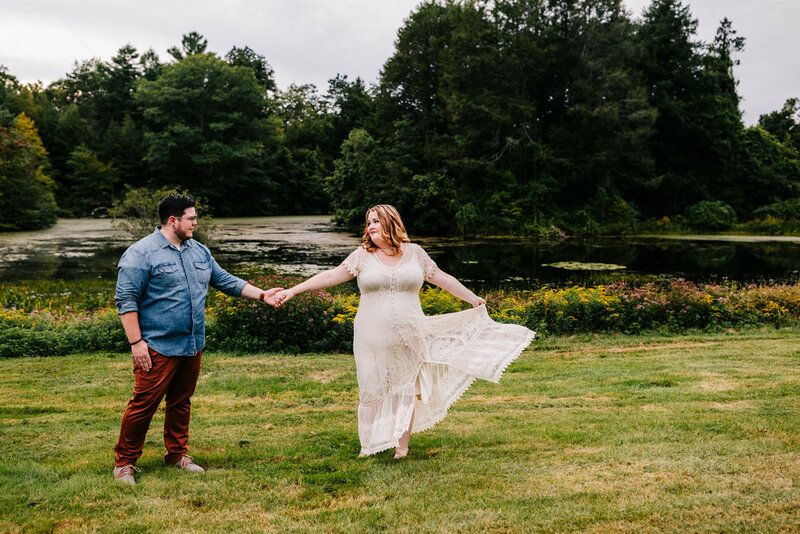 October is by far the busiest time of year for photographers in New England - and for good reason! Somehow the light seems more golden, and the way it reflects on the changing leaves makes everything look like it’s just on fire. But like in a pretty way and not a destructive way. 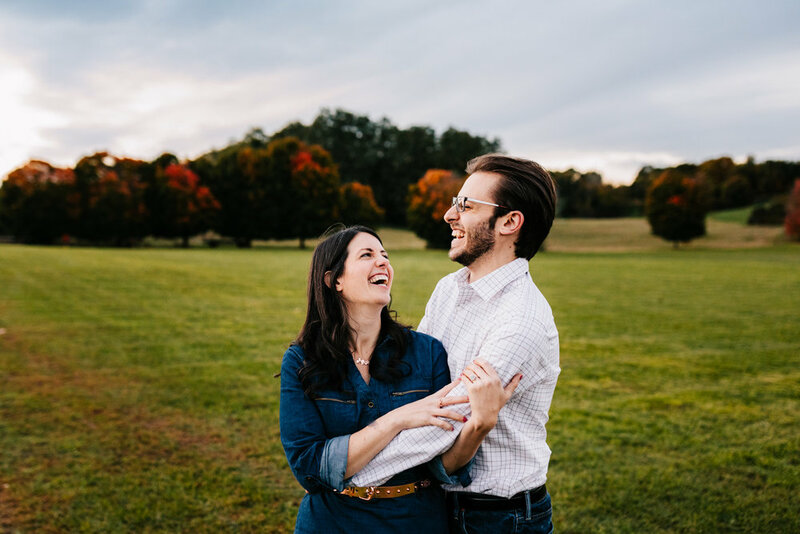 Erica and Gary met on Bumble, the best of the dating apps. And also just real quick I just want to give a shout out to how amazing online dating is and how much it’s lost its taboo. Most of my couples have met online! The internet is amazing. 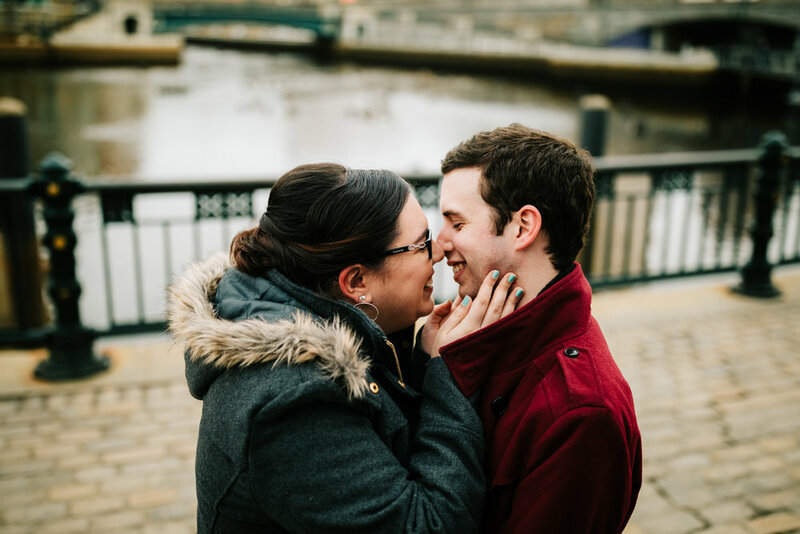 Together they share a love for all of my favorite things: Star Wars, Netflix binging, biking, and breweries! 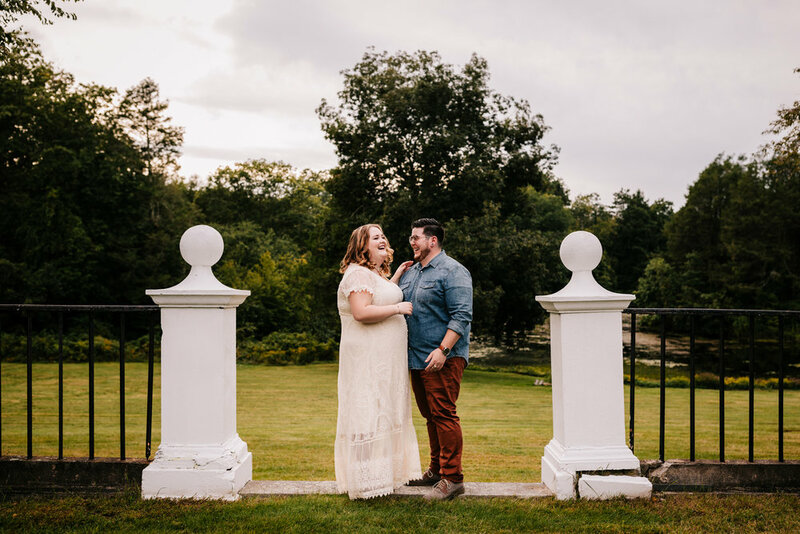 They chose Chase Farm in Lincoln, Rhode Island for their engagement and it was absolutely perfect. Even though it was just a 30 minute session, it was truly a blast. I love interaction and keeping things moving (if you work with me, you will most likely break into a sweat). 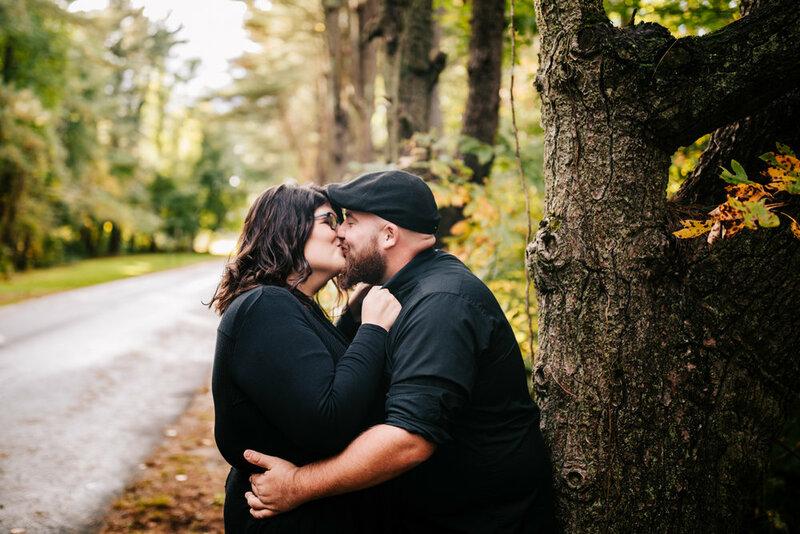 This session was full of laughs, and full of Erica and Gary’s clear and deep love for eachother. And check out Erica’s riiiing! So unique and pretty!